When you are searching for genuine Honda auto parts in the Rosenberg, Houston, Katy, Sugar Land, Fort Bend and Richmond, TX area, look no further than the Gillman Honda Fort Bend car parts department. We can get your new Honda car, or used car, in tip-top shape with top-quality OEM parts and accessories. Also, check out our auto parts specials for current discounts and savings. You can order your auto parts using our convenient online auto parts order form. Once your Honda parts or accessories arrive, just come in and pick them up at 26029 Southwest Fwy, Rosenberg, TX. If you need Honda car repair instead of car parts, our skilled auto repair mechanics will do the work in our state-of-the-art Rosenberg, TX, Honda service and auto repair center. One of the reasons behind the popularity of Honda vehicles is their reliability. So, when your Honda requires a new part, don’t put just any auto part into it. Use genuine Honda parts to ensure that reliability continues, and that you get the most out of your vehicle. 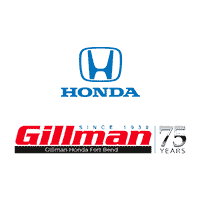 Gillman Honda Fort Bend specializes in all things Honda, including parts and accessories. Let us know what you need and we’ll get you the original, quality, Honda part that will keep your vehicle in premium condition. Call the Gillman Honda Fort Bend parts department at (832)361-3813.